By IsoWhey Dietitian & Nutritionist, Belinda Reynolds. Protein: As you age, your daily requirement for protein actually increases, yet many ageing individuals tend to eat less. This can be detrimental for the maintenance of lean muscle mass on your body that supports not only your strength, but your balance, wellbeing, energy levels and blood sugar balance. What’s fascinating (and concerning) is that the muscle-loss associated with ageing has been closely linked to declines in memory and mental capacity. Muscle loss also leaves you at greater risk of insulin resistance (and thus type 2 diabetes) and increasing body fat. So ensure you’re eating high protein foods (and stay active!). High protein foods include fish, poultry and meat, also eggs, some dairy products (e.e. natural yoghurt), tofu, nuts and nut spreads, seeds and legumes. 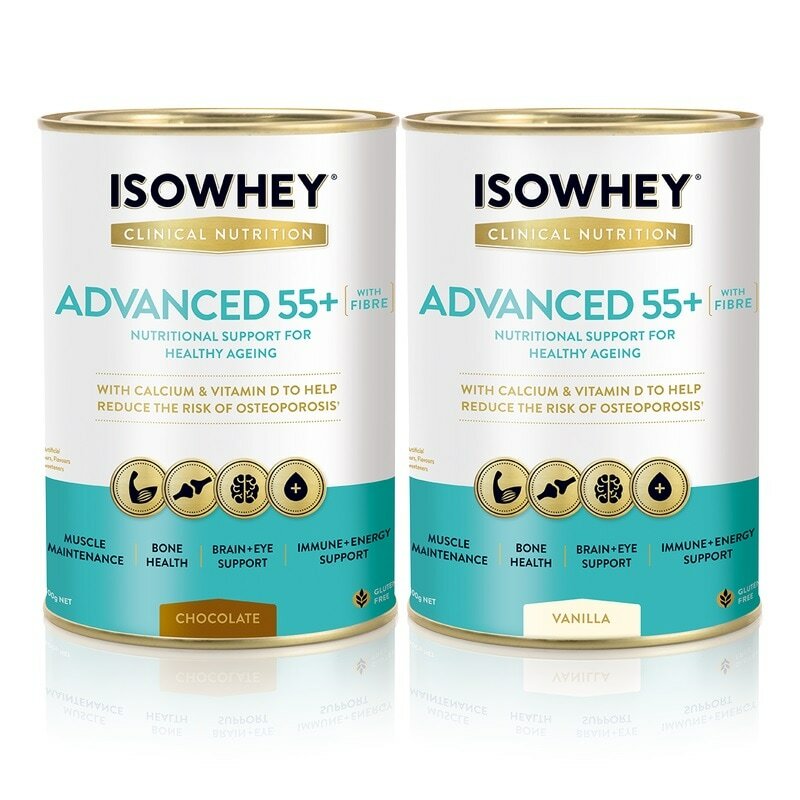 Whey protein (often available in shakes) is also a great source of protein, and can be an easy way for ageing individuals to increase their protein consumption if there is a decreased desire/willingness to consume other high-protein foods. Healthy fats: The good oils found in foods such as oily fish, avocados, virgin olive oil, raw nuts and seeds are naturally anti-inflammatory (reducing joint pain and inflammatory skin conditions), but also support heart and brain (e.g. memory and mood) health. What’s interesting is that fish oil has been shown to assist in supporting improvements in muscle mass, making it useful in conjunction with protein to support a healthy body via that mechanism also. Minerals and trace minerals (e.g. zinc, magnesium, iodine, iron, selenium, potassium, calcium): These nutrients, together and on their own (and in no particular order), are absolutely essential for healthy functioning of the brain (supporting mood and cognition), muscles (this includes energy production in cells, but also muscle repair and growth), bones and joint tissue, immune system, antioxidant and detoxifying processes, heart and blood pressure health. It is therefore particularly important to ensure the consumption of these essential nutrients through a diet rich in foods such as dark green leafy vegetables (and other vegetables and fruits), lean meat sources (include fish - shellfish such as oysters and mussels are particularly rich in zinc and selenium), wholegrains, nuts and seeds. Vitamin D: Vitamin D is essential for bone health, muscle health, immune and brain health. Deficiency is common, and is associated with mood changes, osteoporosis, muscle weakness, generalised pain and immune system imbalances (leaving you more susceptible to certain illnesses, such as infections). Unfortunately vitamin D is not abundant in the food supply - and therefore supplementation is often needed.